We have public interaction via our exhibits. These exhibits take many forms and is one way we provide education to the public regarding the service of those in the military. We provide displays and speaking engagements for veteran reunions, militaria shows, partner museums, schools and corporate events. Exhibits can be short term or run for many months. If you are interested in discussing a display for your event or organization, please Contact us. Veterans Day 2016: A special exhibit for the residents of MacArthur Hills Senior Living Center. Vietnam War: Display of the Vietnam War featuring Army, Navy, Air Force and Marines. The Pacific - World War II. : WWII - Pacific Theater: All branches of service of World War II in the Pacific Theater exhibit. 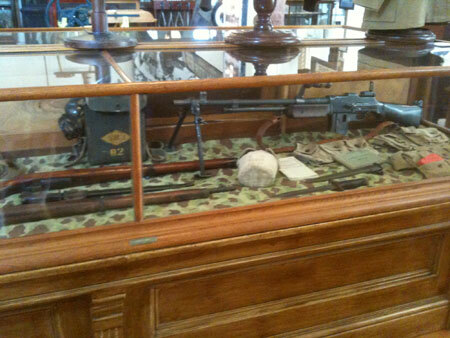 In partnership with the Ellis County Museum and the Army Air Corps Museum. Fighting Charlie - Vietnam: Vietnam War Display Event: "Vietnam! .. Fighting Charlie" a display of uniforms, gear and history of all branches of the US military during the Vietnam War. 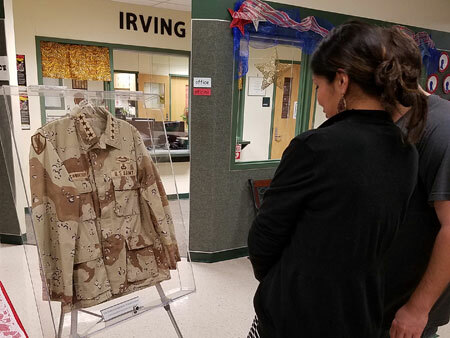 Korean War Exhibit: Korean War Display: In partnership with the Ellis County Museum, There will be a uniform of every Infantry and Marine unit that was on the peninsula and much more. Medal Of Honor Dinner: Medal of Honor City, Event, Dinner and Program.